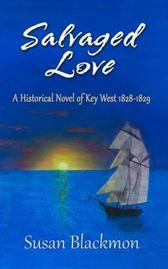 Abigail’s thirst for adventure leads her to Key West and a salvage captain determined to protect his heart from love. A widow surviving on her own and a widower still mourning the loss of his wife find each other. Can they build a life together in the midst of the Seminole War?